Keeping with the holiday season...thought I'd share a negative painting I did for Christmas. Hope you have a joyful holiday season wherever you are. Negative Painting: The technique is a unique approach of painting around an object to define it in a composition. 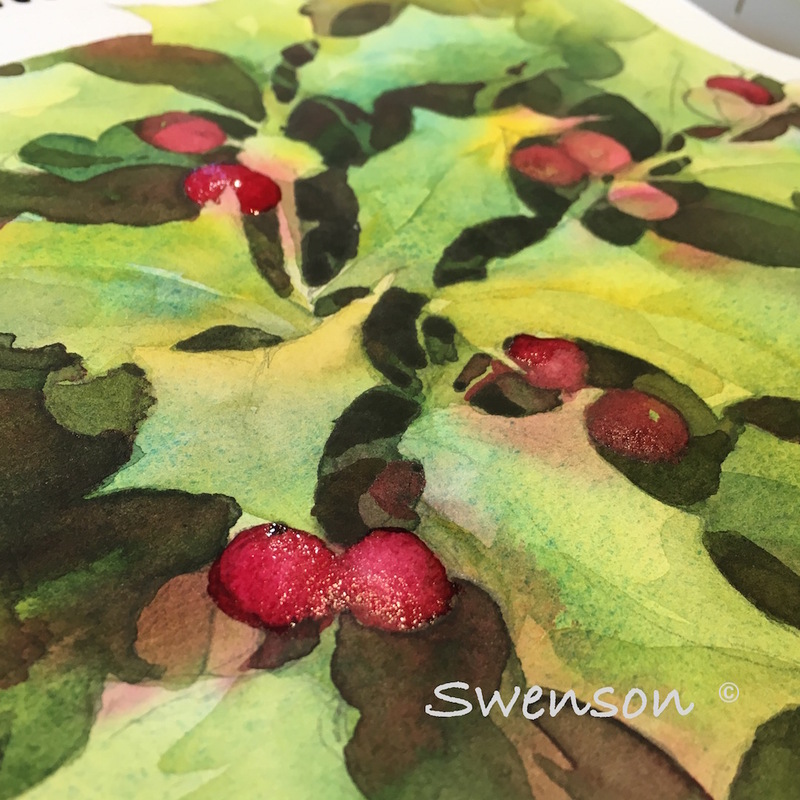 When working in watercolor we have the challenge that other mediums do not. It's what we don’t paint that becomes the most important element. Think of yourself as a stone carver, chipping away, until only the most precious lights remain. *Select 3 Paint Colors for Underpainting. 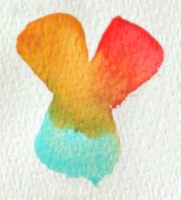 The 3 colors I selected are Daniel Smith Watercolors: Quinacridone Gold, Scarlet Lake and Cobalt Teal Blue. *Drawing: Draw enough to get the general design on 140lb watercolor paper. Don’t over draw. Keep areas uncluttered to allow opportunities for additional shapes to be developed in the painting process. *Underpainting with 3 Colors: Wet entire paper with clean water. Charge juicy paint into the wet areas. 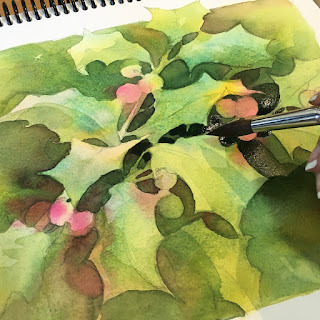 Help paint mix by tilting the paper or with a spray bottle. Let thoroughly dry. *Start glazing (transparent layer of paint over a passage of dry paint). Hard edges against subject and soften edges as you move out with water. *With each new glaze you’ll add new shapes and a darker value. *Pencil in new shapes between glazes...especially if you are getting lost. *Build up dark areas slowly. Dry between each glaze. One of the groups cut off comments from my posted picture of this exercise. Hope I did not do anything wrong. Figured it was ok, but there must have been some question about it being too close a copy or something. I am so sorry. Thought it was ok since it was a demonstration. Gorgeous! Have recently signed up for one of your workshops in 2017 and CAN'T WAIT! You have so much to share, so much talent, vision and experience. LOVE this demo and can't wait to try it. Peggy, I look forward to painting with you! Thanks for the Christmas present!